How do I self-enroll in a course or program in the Learning Library? Learners can find and self-enroll in courses and programs from the Learning Library. Self-enrolled courses and programs are not required and will appear in the Added by You section of the My Learning page. Note: Categories will only display in the Learning Library if your admin chooses to activate them. In the Learning Library, find a course or program you want to join. To preview a program in which you are not enrolled, click the Preview button . 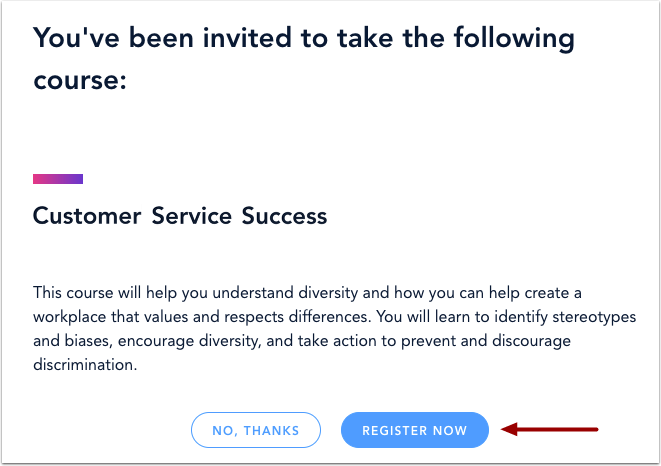 To self-enroll in a course or program, click the Enroll button . The Program Preview page shows how many steps are in the program and the estimated time it takes to complete the program . 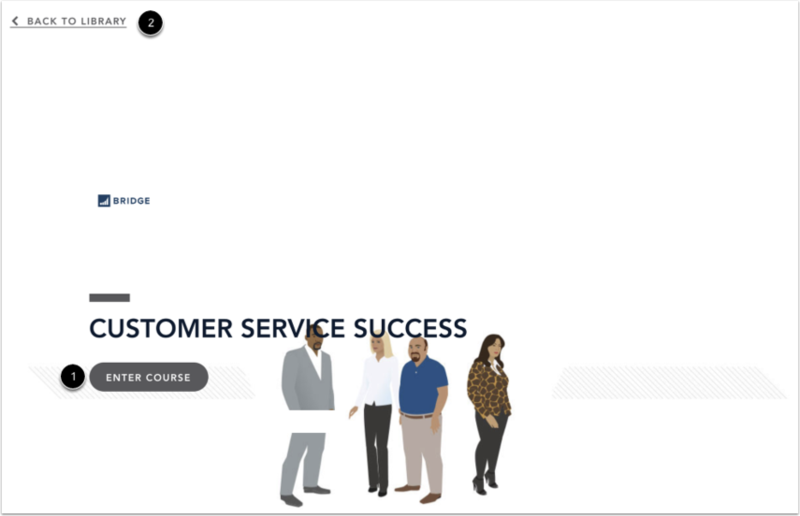 This page also shows a list of the courses, live trainings, and checkpoints in the program and their descriptions . To enroll in the program, click the Enroll button . To close the Program Preview page, click the Close icon . To confirm your registration for the course, click the Register Now button. 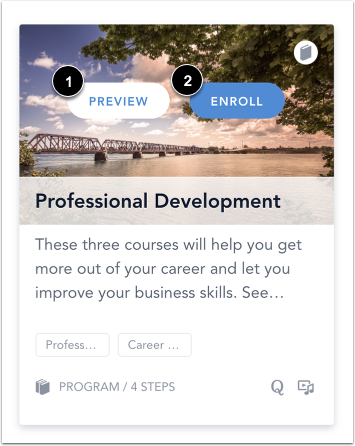 If your course has a cover slide, click the Enter Course button  to begin. Learn how to navigate an online course. To return to the My Learning page, click the Back to Library link . To confirm your registration for a program, click the Register Now button. To begin taking the first course in the program, click the Let's Get Started button. Learn how to navigate a program. 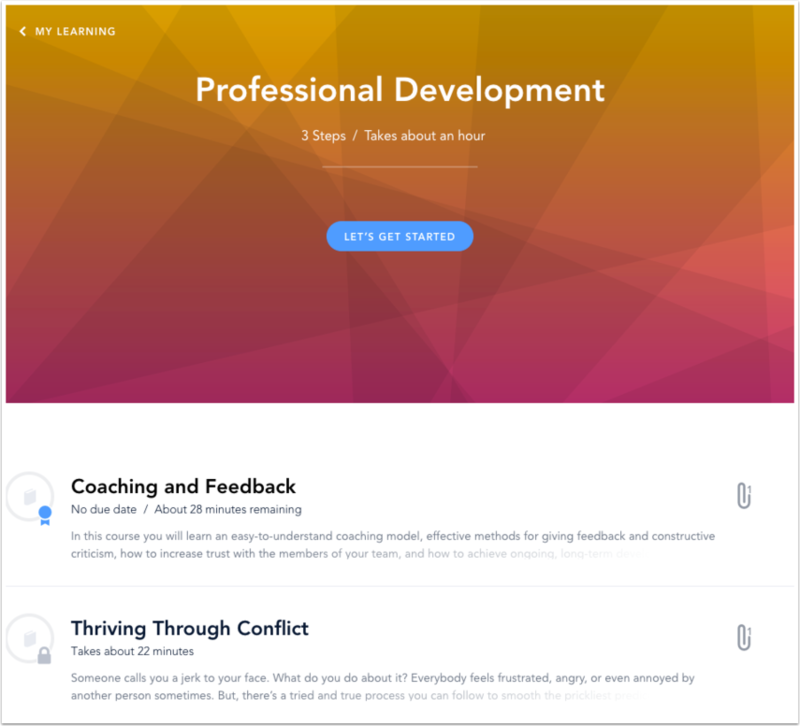 On the My Learning page, you can view all your courses, programs, live training sessions, surveys, and checkpoints. 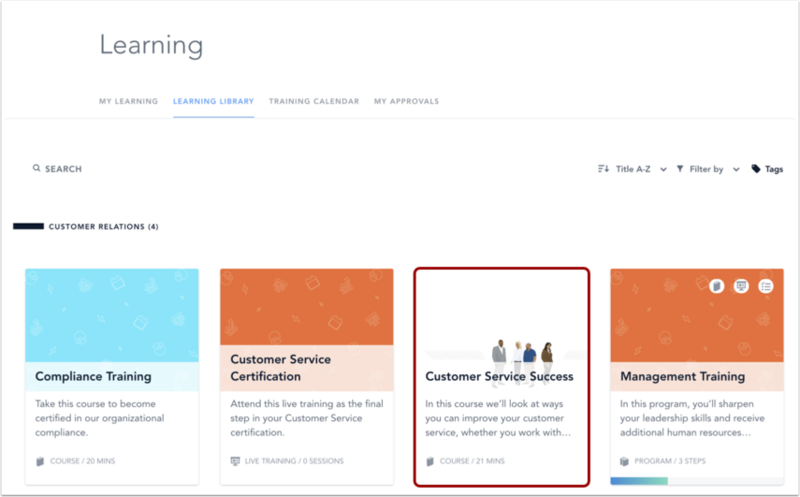 Self-enrolled learning items from the All Others category in the Learning Library will appear in the Added by You section until they are completed . 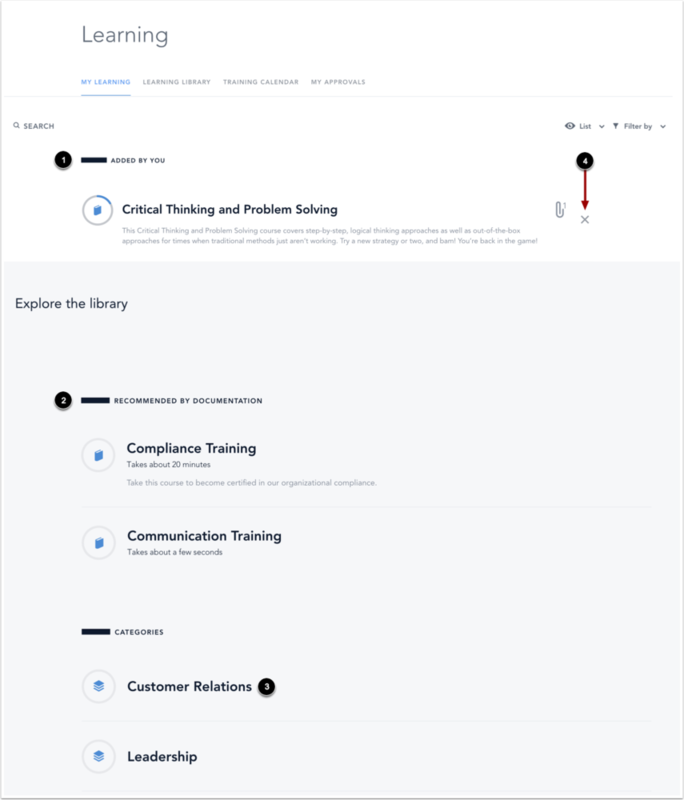 Recommended learning items will appear in the Recommended by [Your Organization] section until they are completed . To view additional categorized content available to you, click a category title . If you want to remove the course from your Added by You list, locate the course and click the Remove icon . To remove your enrollment from a program, please contact your Bridge administrator. 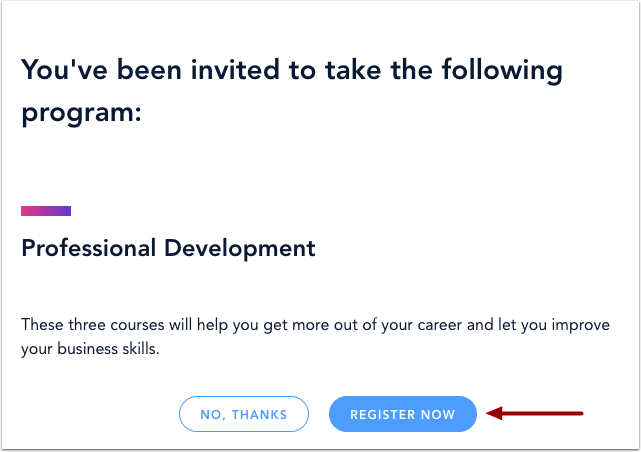 Previous Topic:How do I self-enroll in a LinkedIn Learning course? Next Topic:How do I sign out of Bridge? Table of Contents > Learners > How do I self-enroll in a course or program in the Learning Library? 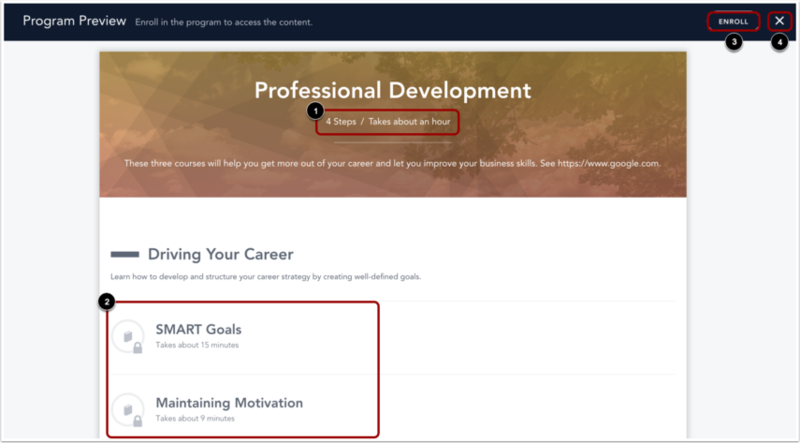 How do I self-enroll in a LinkedIn Learning course?